There’s much to explore in the Russian capital, deservedly one of the world’s great cities. Feel the buzz of Red Square or the bucolic tranquility of Novodevichy Monastery; the lingering menace of Lubyanka Square or the staunch piety of the worshippers praying in countless onion-domed churches. 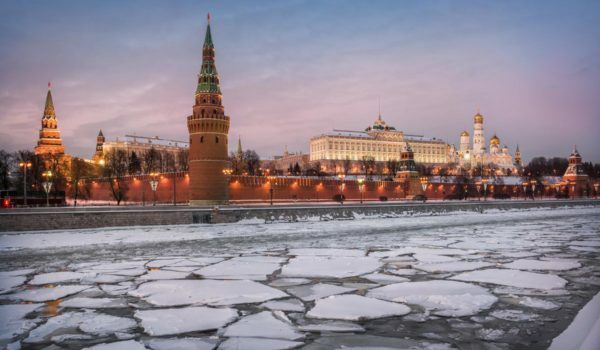 Moscow remains the engine room of a nation which spans the Eurasian landmass, a city with a history stretching back many centuries to the days when log huts huddled beside a sweeping bend in the Moscow River. So much history lingers here, not just the much-embellished sagas of tyrants, tsars and invading Tartars in far-off times, but events commanding the world stage from the twentieth century to the present day: the 1917 Revolution, Stalin’s reign of terror, the Cold War and the eventual collapse of Communism. The Russian capital may seem overwhelming at first with its imposing “Soviet Empire” architecture – immense official buildings, huge apartment blocks and wide roads. But this makes it all the more worthy of a long visit. Nowhere else in Russia can you learn so much about the Soviet period, with the Revolution Museum, the Museum of War and Space (Kosmos) Museum. As the capital, Moscow is the political centre of Russia and is home to Beliy Dom – the White House and Ostankino – the television tower, both of which were captured by communists in the uprising of 1993. The Arbat, the main street in the very heart of Moscow – actually two streets, comprising the Old Arbat (a cobbled laneway) and the New Arbat (a main road) – team with shops and restaurants. Red Square, with St Basil’s cathedral and GUM department store, and the Kremlin are must sees. Moscow’s museums include the former homes of writers such as Pushkin, Gorky and Mayakovski. When Prince Yuri Dolgoruky ordered a wooden fort built on a steep, wooden hill at the confluence of the Neglinnaya and Moskva rivers in 1156, he could hardly imagine it would grow into what was to become afterwards the heart of Russia. Having recovered from the attacks of the Mongol-Tartar hordes, the town became, by the second half of the 13th century, the centre of an independent principality. The strengthening rise of Moscow was encouraged by the fact that it was the hub of an enormous territory around which the Russian Nation was being formed. In the 15th century the unification of the surrounding lands under the Moscow principality was complete. There was a great growth of trade from which the city became the focal point of the Russian cultural scene and one of the largest cities of Europe, reaching a population of 100,000. 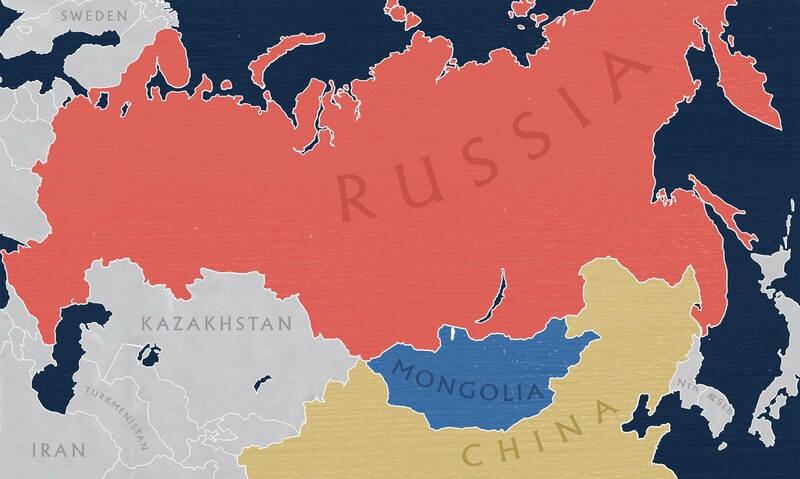 More than once Moscow was fated to play a decisive role in the country’s struggle against foreign aggression, but always managed to maintain its status as capital of the great power of old Russia. As the scientific centre of Russia, Moscow boasts specialised academies and a large number of research institutes. The city hosts over twenty higher educational establishments with an enrolment of over 600,000 students from all over the world. The creative work of many great Russian architects contributed a wealth of splendid ensembles and cultural monuments. During the 12th-century reign of Prince Yuri Dolgoruky, the Kremlin, at the core of the city, became the epitome of the old Russian architectural tradition. Aside from its beautiful cathedrals and churches, you can visit the Armoury – a museum which contains one of the finest collection of ancient arms, the Tsar’s crown jewels, unique examples of Russian and foreign craftsmanship, and other royal regalia. Close to the Kremlin is the historic Red Square, a witness to popular uprisings, foreign invasions, and marches. This is also where the Cathedral of Vasily the Blessed (the Cathedral of the Intercession – known as St Basil’s) is located, a unique creation of Russian national art which was built by Ivan the Terrible in 1561. An outstanding example of 16th-17th century architecture is the Kolomenskoye, a museum area greatly favoured by Grand Russian princes. Its original layout still remains intact. Among the monasteries designed to defend Moscow you will find St Andronicus and St Daniil. In addition the Novodevichy (New Maidens) Convent – are all witnesses to the turbulent history of the Russian state. Art lovers will want to familiarise themselves with some of the classic Russian paintings. Moscow’s Tretyakov Gallery is where you will find the works of Andrei Rublev, Dionisii and Ushakov. For something different, Gorky Park offers amusements and ice skating in winter. Coming to terms with Moscow entails coming to terms with the Metro, a Gorgon’s head of intersecting subways conceived as a showpiece of Soviet might. In the world’s most expensive city, a train ride across town costs well under a dollar. In the 1970-90s, the cost of a single journey was 5 kopecks (1/20 of one Soviet ruble). The cost of journeys has been steadily rising since 1991, and inflation caused the price to rise considerably (taking into account the 1998 revaluation of the ruble by a factor of 1000). Effective January 2011, one ride or one item of oversize luggage costs 28 rubles (94 US cents); at the same time, one may get a considerable discount (up to 40%) per journey when buying a multiple-trip ticket, starting with 5-journey cards, and children up to 7 years old can travel free when with their parents. Tickets are available for a fixed number of journeys, irrespective of the distance travelled and the number of transfers. Monthly and yearly passes are also available. Fare enforcement takes place entirely at the points of entry. Once a passenger has entered the Metro system, there are no further ticket checks – one can ride any number of stations and make transfers within the system freely; transfers to other public transport systems such as bus, tram, trolleybus, or monorail are not included. Before 1991, turnstiles accepted actual coins, however with the start of hyperinflation, plastic tokens of various design were used. Disposable magnetic cards (contact cards) were introduced in 1993 as a test and were used as unlimited monthly tickets between 1996 and 1998. Since February 1999, tokens have been discontinued in favour of the magnetic cards. The Moscow Metro encompasses 176 stations of which 62 are interchange stations. Train speeds can reach 90 km/h and the aim is to operate services at three-minute intervals. If you ride the Metro towards the city centre, the station announcements use a male voice. If you are travelling away from the centre then a female voice is used for station announcements. If you are on the ring-line, then a male voice announces the stations as you move clockwise and a female is used for counter clockwise. This system is for the convenience of blind passengers. Our walking guide concept is an economical and fun way to explore both Moscow and St Petersburg. Each city is blessed with a great public transport system, both above and below ground. With the growing traffic problems in the centre of these cities, using public transport can save considerable time. Our guides can cover most major languages and are all postgraduates who have completed, or are completing a ‘Guiding Diploma’. They not only give you the historical details about where you are, but are happy to immerse themselves in discussions about everyday Russian life and how they see Russia’s future. ‘Walking’ also includes time on the underground, in trolley buses and can make use of the occasional taxi – paid locally as required. For those taking one of our packages that includes a 3 hour walking tour, here are some details. You will also see details of a 6 hour walking tour programme that you can add to other days in either Moscow, or St Petersburg. Please note this tour ‘views’, but does not enter museums, or monuments as time does not allow this. It is designed as an orientation tour to both major sites and the public transport system. 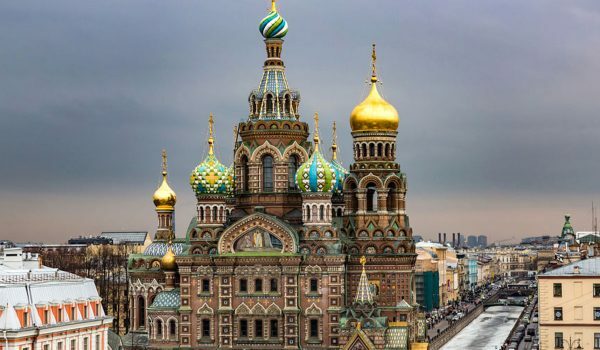 This walk is included in the Moscow and St. Petersburg budget stopover and all Trans Siberian railway trips that include Moscow and St Petersburg packages. The tour can be added to any other programme. Our guide will take you on a personally guided tour of the city center. This is a walking tour, which also uses public transport. You will be shown the magnificent underground stations of the Metro as well as the classics such as Red Square and the Kremlin. No picture can prepare you for the ancient St.Basil’s Cathedral which rises like a fairy tale from the Eastern part of the Red Square, You will also observe the walls of Moscow Kremlin, Alexander Gardens, GUM department store and the red granite mausoleum which holds Lenin’s embalmed body, Manezhnaya Square, Moscow State Duma, and the busy Tverskaya Street. Also included will be the former headquarters of the KGB, Okhotny Ryad Prospect, Teatralnaya Square, Bolshoi Theatre, Cathedral of Christ the Saviour, Lenin’s library, and the pedestrian Arbat Street. Our guides work out the best ‘movement’ solution based on what you want to see, the time of day and the condition of the traffic. Large distances can be covered by the underground in quick time. The trolley bus system can also be used as they can avoid some of the traffic problems cars have to endure. Otherwise, walking is the best way to get close to something of interest. If the guide thinks a ‘taxi’ is the best solution for the next stage, he or she can flag down an appropriate car and knows the price to pay for the distance and so avoids the ‘foreigners’ price. You will be expected to pay for any transport taken when on a walking tour (unless otherwise stated), but this is a minor amount. This six (6) hour walking tour of the central sights of Moscow is a comprehensive days sightseeing with one of our walking guides. This tour does have time to go inside museums and monuments. Departs: Daily @ 09.30 hrs, returns 15.30 hrs. Our walking tour visits some of Moscow’s most famous museums and commences at the magnificent St Basil’s Cathedral built to commemorates the victory over the Tartars, Red Square, Kremlin and its Cathedrals, Kitai Gorod – the oldest district in the center of Moscow, GUM – an enormous undercover shopping centre, a guided tour of the more interesting stations of the Moscow Metro, Puskin Museum of Fine Arts, Arbat and Volkhonka Streets. Departures: Daily to order. Entrance fees are extra as required. As a guide budget for 25 EUR per person. Use of a car with a driver/guide is an extremely efficient way to accomplish certain sightseeing. For Moscow this relates more to sights outside the central city area. In St Petersburg the traffic and road system is more conducive to vehicle based sightseeing in the central area. What takes two days with public transport, takes one day by car. In addition, in most cases, more can be seen and appreciated by having your own guide and interpreter. Click here for more information. Since 1935 the All-Union Agricultural Exhibition, nowadays known as VDNKh, has occupied a large area in northern Moscow. Originally conceived as a grandiose collection of trade pavilions to show off the achievements of Soviet agriculture, VDNKh survived neglect in the 1990s and is now being restored and put to use as a modern recreation and exhibition centre. Right next door is the Russian Cosmonaut and Space museum. We can book a classic (restored) Soviet-era hotel within walking distance of both, or these sights can be included in any customised sightseeing programme. Few people can remain indifferent to a Bolshoi performance; the joy of contact with fine music, talented singers, ballet, actors, musicians and artists. These days their web based booking site is reliable so once your main plan is in place you can see what is on and book. However we can access seat reservations at reasonable rates for the Bolshoi plus other theatres. Marie (in our office) is from Moscow and has registrations set up for the ‘Other’ Russian Language sites where seats are often cheaper. We charge a booking fee, but even with this you will see the value. There is also a one hour ‘tourist’ sightseeing tour available during daytime. The majority of tours are in Russian, but there are some that are in English (only other language offered at time of writing). These tours cannot be booked in advance and have participant number limits. The only way (at time of writing 12/12/14) is to arrive on the correct day, well before the start and queue! This writer did this in October 2014 (low season!!) and managed to get in – just – several behind missed out. Despite what you may read about prices on the web and in fact see on the sign outside (hopefully they will change it one day), the actual price is much higher and in October 2014 was 1,500 roubles – expensive in any currency! They have a monopoly, there being only one Bolshoi! The recent renovation is STUNNING. We can include this on our walking tours and thus improve your chances of access. NOTE: The tour is of the OLD HISTORICAL stage area. Don’t be confused with the NEW stage (separate building next to old building) where the performances are much cheaper than the historical stage. These are private tours (for the number that book) only. Your guides are qualified tourist guides in the language you have chosen. If the place visited requires an entry fee this is included. If you book JUST these sightseeing tours with us and have made no other arrangements with us there is a ‘Per File’ fee of 25 EUR. 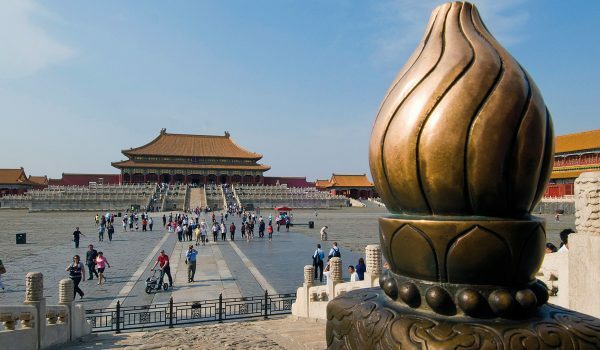 You are taken by car to this icon of communist history. Situated 32km from Moscow itself this also represents an interesting excursion outside large Moscow itself. We invite you to visit the country estate of Gorki, where in 1924 Lenin died. This estate and museum used to be a place (compulsory?) of pilgrimage for Soviet era people. The country estate is situated 32 km south of Moscow. Before the revolution of 1917 the elegant yellow-and-white stucco mansion, situated in the forest of blue firs, was owned by Zinaida Morozova, the widow of the famous Russian merchant Savva Morozov. The mansion was designed by the architect Shekhtel in a neo-gothic style. It was wonderfully decorated inside and supplied with all modern (advanced for the time) facilities like a phone line to Moscow and hot water! The estate was expropriated in 1918 to become a sanatorium for Party leaders. After the attempt to assassinate Lenin in August 1918 he was moved to Gorki with a bullet lodged in his body. He resided here with his wife Krupskaya, a team of doctors and bodyguards. Lenin ordered that nothing was to be changed in the main house. This is why visitors can continue to enjoy the beautiful furniture, mirrors, chandeliers and other items that show a past age of Russia, one which the new Soviets enjoyed immensely. Lenin stayed at the estate until his death on January 21, 1924. The next day his body was taken to Moscow by train. Visitors are also taken to the garage to view Lenin’s Rolls Royce, another of the treasured icons of the dreaded capitalists! This vehicle was outfitted with caterpillar tracks and skis for travelling cross country in winter conditions. It was also converted to run on pure alcohol which was easier to obtain than petrol during the Civil War – fuels vehicles and soldiers it would seem! What was once a village is now an outer suburb. This is known as the Literature Village. Easy to reach by train, or private car. Peredelkinno is a collection of houses where past and present literary names had, or do live. In Soviet times those that became famous within Russia and beyond could be rewarded with a country dacha. Often these Dacha Villages were designated to be used by people who had a particular skill. Perelkinno became the Literary Village. Over time the village became an outer suburb of Moscow, but still keeps its green treed nature. The village is 25 min from Kievsky train station in Moscow. The two main features are the house of Boris Pasternak (he of Dr Zhivago fame) and the Chukovsky museum. This was the house of Kornei Chukovsky the most famous Russian children’s writer ( like Roald Dahl or Enid Blyton). They are open almost every day. We can organise a private trip with car and driver, or you can take the train. You may find an English-speaking guide when you arrive, you may not. A short journey out of Moscow and you can visit Sergiev-Posad (formerly Zagorsk), another of the Golden Ring cities, with its magnificent Trinity Monastery of St Sergius, which can be considered the Mecca of the Orthodox Church. This city is a ‘classic’ in the eyes of most visitors and is not easily forgotten. Fully escorted with private car. Today this town is the spiritual centre of the Russian Orthodox Church. The town is 75km north of Moscow and the “Monastery Fortress” contains buildings dating from medieval times. Departs: @ 09.30 hrs, returns 16.30 hrs. Full day excursion to Sergiev Posad, 75 kms north east of Moscow (centre of Russia Orthodoxy), formerly known as Zagorsk. There has been a monastery on this site since the 12th century. Sergiev Posad consists of eight churches and chapels, three of which are open for worship. We allow you sufficient time to explore the surrounding town and market places before returning to Moscow. If time permits a visit to Abramtsevo (once a thriving artists’ colony) has been scheduled. Now a museum, the estate was the creation of railway baron Savva Mamontov who purchased the property in 1870 and transformed it into the premier school of Russian Art. All buildings have been beautifully restored and overlook the Vora River. On the estate are churches, a chapel, banya and numerous artists’ studios, as well as Vasnestson’s playful “Hut on Chicken Legs”. Departures: Daily to order. Private tour with driver and guide. Inc private car with driver. Local English speaking private tour guide for Sergiev Posad. Entrance fees. The driver will collect you from and return you to your accommodation. Fully escorted with private car – NOTE this is a long day, including two great cities of the famous Golden Ring. This trip will allow you a quick overview, but the overnight option – see below – allows you that extra time to see Vladimir and really enjoy the charm of Suzdal. Suzdal has a visual appearance that many of us anticipate we might see in all Russian towns or cities; scenes made real in our minds by books, television and the movies. Within the town, you can see some of the best examples of monastic and village architecture possible. There is a fine ‘folk village’ museum where examples of old Russian architecture are on display in an open air museum. Time necessitates a farewell and you will be taken back to Vladimir, one of the early capitals of old Russia. Here you will see such famous sights as the ‘Golden Gate’. After collection from your accommodation, the first task is getting out of Moscow! Once this is accomplished, you are on a main highway which provides views of the outer rural areas. There are many ‘dachas’ along this route and a variety of cars, trucks and roadside checks provide a diversion for this part of the journey. On the outskirts of Vladimir you leave this main highway and suddenly everything changes. Less traffic, rolling farmlands and you feel that something special awaits. Soon you notice classic domed structures in the distance which herald your entry into Suzdal, this small but important Russian town. This is a busy day and therefore quite long, but it does accomplish a lot. Having a car and driver means you can do a lot as Suzdal is not on a simple public transport route. It is strongly suggested that you take our package with an overnight stop in Suzdal, but if time is so short that you need a same-day excursion, it can be done. Times: 0800hrs – 2000hrs. The tour is planned for this time period, but traffic, in and out of Moscow, can make it longer. Price includes private car with driver, local guides and entrance fees. As the day’s sightseeing concludes you will be driven back to Moscow and returned to your accommodation. The once ‘Top Secret’ training base where the likes of Yuri Gagarin once walked the pavements. From Yuri Gagarin to the Mir Space Station, this is where it happened. Now open to guided tours where you can see a part of space history. Still a working establishment so you may even spot a real cosmonaut! From the 1940s to the 1990s, the secretive USSR created a massive constellation of ghost geography. Hundreds of cities. Over a million people living off the map. Not “off the grid”—towns were literally left off of Soviet maps, kept from prying eyes. If you lived there, your city had no public name and as a citizen you were a non-person. In one of these secret cities, established in 1960 and known as “Military Unit 26266 in closed town number one,” young Russians were trained to be launched into the skies and beyond. Star City, located just east of Moscow, became the home of the Cosmonauts. During the 1960s the Soviet Union planned extensively for a lunar landing and trained over 60 cosmonauts. Star City blossomed into a real town with its own post office, movie theatre, railway station, and a couple of schools—all very, very secret. Its citizens were given special passports so they could enter and leave. Star City was a small world onto itself, kept hidden not just from other countries but from fellow Russians. The space program was once a powerful point of pride within the great communist dream, but in 1991, when the Soviet Union collapsed, it left Star City and the cosmonauts in serious trouble. At the time, cosmonaut Sergei Krikalev was on board the Mir space station, with the landing site in Kazakhstan suddenly no longer part of the USSR. Sergei was stranded on board Mir for months as Russia struggled with the Kazakhstan government. Star City adapted and began working more closely with NASA. By the mid 1990s, the curtain of secrecy of Star City had lifted slightly. For the first time, visitors could catch a glimpse of the tank where cosmonauts practice their space walks under water, or the gigantic centrifuge where the soon-to-be space travellers are swung around at dizzying speeds under eight times the force of gravity. In 2008 control of Star City was officially handed over from the Russian military to space agency Roscosmos, making it a civil rather than military organisation. It marked the first time since its establishment in 1960 that Star City became open to the general public, though still only with permission. This is one of the world’s greatest collections of aviation history from before the Iron Curtain came down, during its ‘drawn period’ and after it was raised. Russia’s Central Air Force Museum, located 40km east of Moscow, is under threat of extinction. The adjacent Gagarin Military Academy is closing, leaving the museum — one of the world’s greatest aviation collections, with more than 170 historic aircraft on show. One hears that there are plans to open a new “military theme park” at Kubinka, to the west of Moscow, where some of the Monino exhibits will be taken; but it appears highly likely that many of the bigger aircraft and outside exhibits face scrapping. One of the world’s most famous collections. Aside from a history of Soviet and Russian tanks there are also examples captured, or gifted to the museum. The Kubinka Tank Museum is a large museum dedicated to armoured fighting vehicles situated in Kubinka, a small town not far from Moscow. The displays are of tanks (Russian made and captured) from World War I, II and the Cold War. You also have an opportunity to see unique vehicles, such as the Panzer VIII Maus, Troyanov super-heavy tank and a Karl-Gerät, alongside single production prototypes from Russia and Germany. The museum has a long history. During World War II the USSR received American and British tanks under Lend-Lease. The bulk of foreign tanks (outside the Lend Lease contribution) within the collection were captured during World War II. Others were obtained by exchange with the British Armor Museum, or were given to Russia by Soviet allies and clients from items they captured in Vietnam, Korea, Cuban and Middle Eastern conflicts. There are 129 Russian items including many prototype models of vehicles that were not produced in quantity. The museum was opened 10 September 1978. The Museum of Armoured Vehicles and Equipment has one of the largest collections of armoured vehicles in the world. Vehicles from eleven foreign countries are represented. The 290 items range from 3 to 5 ton light tanks and armored cars, to a super-heavy 180 ton monster. There are 40 self-propelled guns from 57 to 600 calibre, 30 armoured cars, 10 reconnaissance and command vehicles, and a variety of technical and engineering support vehicles. In 2000 the old vehicles were re-painted in the original paint schemes by Russian specialists from the Military Historical Society. This tour can be organised for any day including week-ends except Mondays and Tuesdays. You must carry your passport with your on this tour. 5 to 6 hours. The return drive to Kubinka museum is 3 to 4 hours depending upon traffic conditions. The duration of the tour on sight is 2 hours. It is possible to stay at the museum longer than 2 hours. A day trip to a most significant cultural heritage site… Visit the great Russian writer’s estate at Yasnaya Polyana! Yasnaya Polyana (Bright Glade), the birth and burial place and almost lifelong abode of the great Russian writer Leo Tolstoy is about 200 km south from Moscow. It is a phenomenon of Russia’s historic and cultural life. With its authentic buildings, surrounded by picturesque forests, orchards, and parks, it is a typical Russian estate, which gives the visitors an insight into the every-day life and traditions of the noble family of the great writer. Count Tolstoy was born at Yasnaya Polyana in 1828 and inherited it in 1847; he spent more than fifty years at this estate and created most of his works here. The avenue of birch trees goes up the hill towards the main house. Its rooms are wonderfully preserved and provide a nice glimpse into the environs that inspired the great Russian writer. The atmosphere is powerfully charged by reminders of the writer’s life – old furniture, portraits, books, cloths. There are plenty of items inherited by Leo Tolstoy from his grandfather – Prince Nikolay Volkonsky. The Hall served as the place to spend evenings with guests and members of the family; it is decorated with numerous portraits of the owner of the estate and members of his family. The final room of the tour is the downstairs library with 22,000 volumes in 35 languages which Tolstoy used as a study in the 1870s. It was here that he wrote War and Peace and Anna Karenina. Visitors are usually impressed by the simplicity of the estate at Yasnaya Polyana. Count Tolstoy tried to make his life here more moral and democratic. Instead of decorative flowerbeds he cultivated “useful” vegetable gardens and all sorts of fruit-bearing trees that can be still seen in the estate. The vast meadows here are full of wildflowers; Tolstoy used his woods for walking and riding. A path leads to the writer’s unmarked grave among trees in a quiet corner of the estate. Tolstoi was buried here in 1910 when he left Yasnaya Polyana to experience a peasant’s life but caught pneumonia and died at a remote railway station. It is possible to combine the visit of Yasnaya Polyana with a visit to Melikhovo – Chekhov’s country estate. Both places are situated on the same road, about 140 km apart. In this case the tour might extend over 2 days, with one night spent at a hotel in the old Russian town in Serpuhov. To include the ancient capital of Old Russia. Travel Moscow to Novgorod and then St Petersburg, or the reverse.